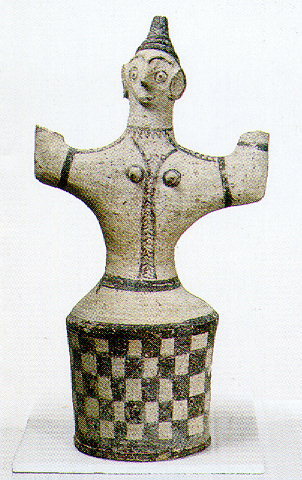 Figurine of the Minoan goddess. The statuette represents the well-known Minoan female deity with upraised hands. It was found at Pangalochori and dates from the Late Minoan period (1320-1200 B.C. ).